Jerod Mayo must be very pleased with himself. It was really just a matter of time. 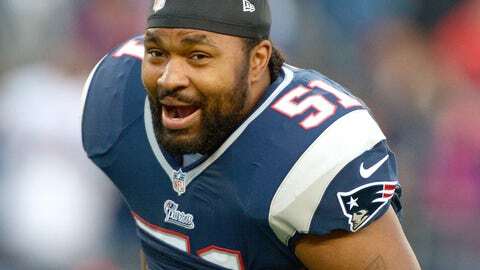 Patriots linebacker Jerod Mayo has decided to launch his own line of mayonnaise, according to MyFoxBoston.com. Feel free to shake your heads in unison. 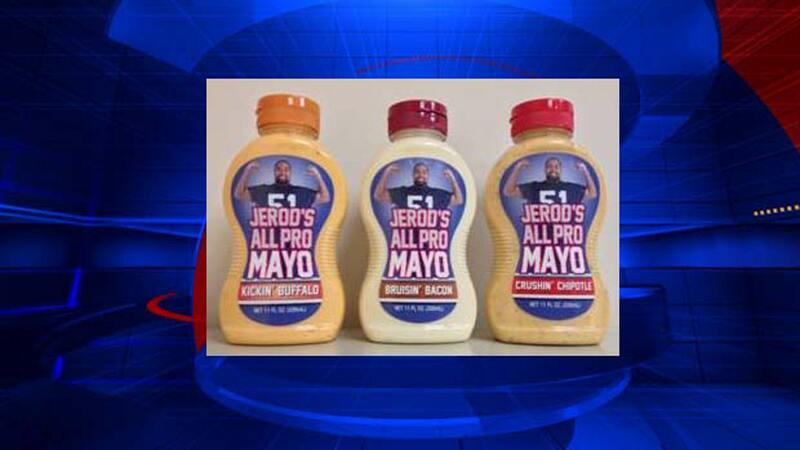 Called "Jerod’s All Pro Mayo," it will be a "gourmet" mayonnaise that comes in three flavors: kickin’ buffalo, bruisin’ bacon and … sigh … crushin’ chipotle. I don’t know how there’s enough room for mayo with all those apostrophes. Anyway, it appears as though the mayo (the product) will be sold at stores in the Boston area. Of course, Mayo (the player) isn’t the first Patriots player to sell his own food, as I’m sure we all remember the legendary "Gronk Flakes" named after tight end Rob Gronkowski. But why stop there? 3. Tommy Kelly’s Jelly. Goes great with Beli-Chunky Peanut Butter! 5. Prep your turkey with Josh Kline’s Brine! 6. Steve Beauharnais Sauce! Perfect topping for your steak! 7. Robert Kraft Mac and Cheese … hey, shouldn’t he actually look into that? Anyway, you get the idea. I applaud Mayo (the player) and hope his mayo (product) really takes off. Questions? Comments? Send them to lacesoutmail@gmail.com and we might respond in our weekly mailbag!